Prepare the gelatin mixture. Pour the 1/2 cup cold water into a large bowl. 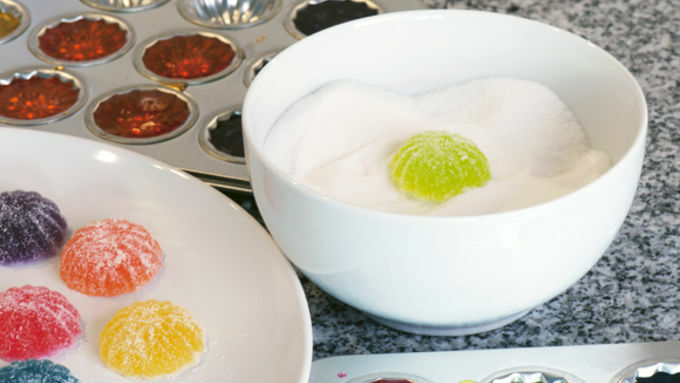 Sprinkle evenly with the gelatin and allow to soak while you prepare the sugar syrup. Prepare the sugar syrup by bringing the 3/4 cup water and 2 cups sugar in a saucepan. Bring to a boil. Simmer for 5 minutes. Add the hot sugar syrup to the gelatin mixture. (Careful, it's hot!) 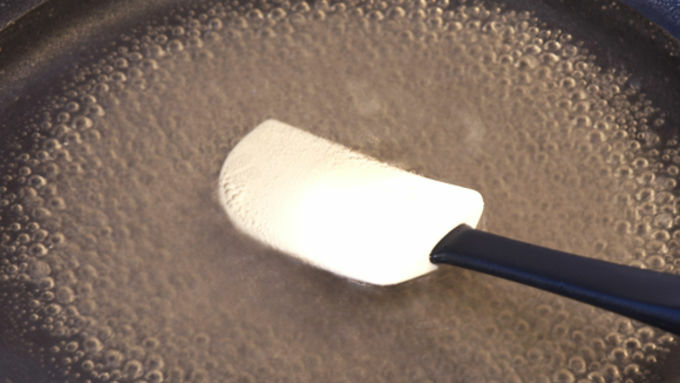 Stir until the gelatin is completely dissolved. Split the mixture into bowls and color and flavor as desired. I split my batch up into 6 parts. 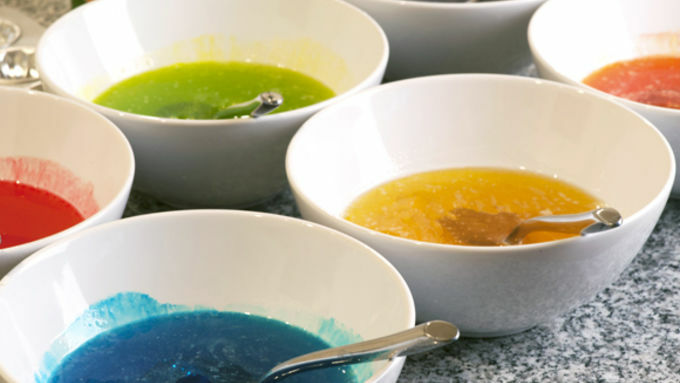 Each used about 4 drops of food coloring and an 1/4 to 1/2 tsp of extract - but extracts vary, so add a little at a time until the desired flavor is achieved. Roll the gumdrops in sugar, and voila! Gumdrops! 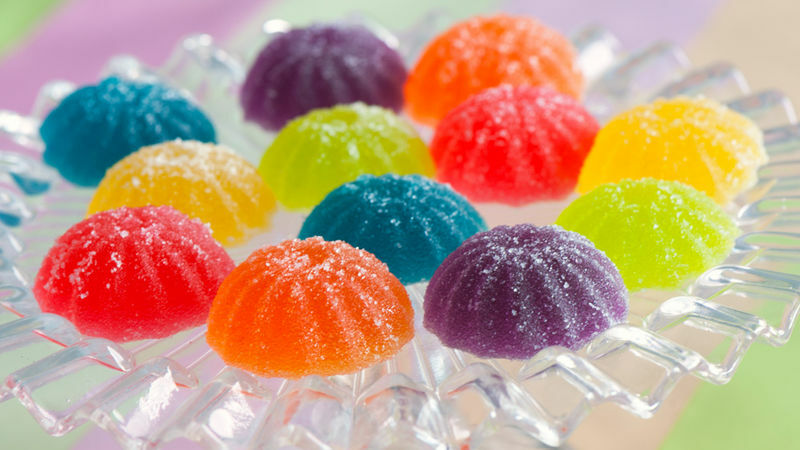 You wouldn’t believe how easy it is to make these—if you can make Jello™, you can make homemade gumdrops! A quick search of the interwebs yielded many different recipes. Some with flavored gelatin and others with, oddly enough, applesauce. Variations of this recipe abound, and I love it both for its simplicity as well as its adaptability to any flavor or any color in the rainbow. 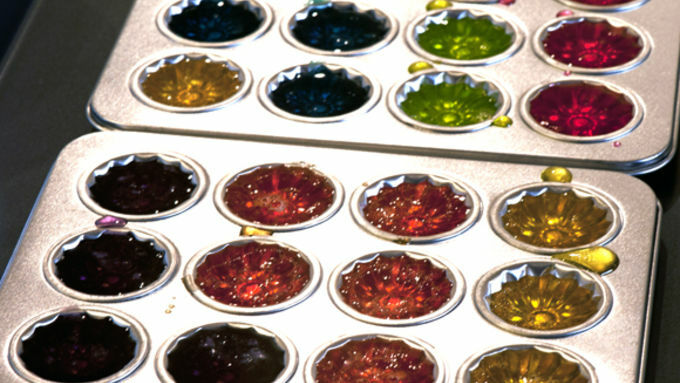 You have two options for setting the gumdrops: use cute little candy molds or pour into small pans and cut into squares. A word of caution about these little beauties. While they are delicate and delicious, they are not the rough-and-tumble-throw-in-a-baggie-and-tote-around-in-your-purse sort of gumdrops. They are, however, lovely little fancy things that will make people say, “Oooooooo! You MADE those?” You can definitely make the gumdrops a day ahead, but for best results keep them in the fridge in a single layer.